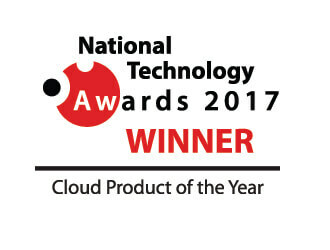 Guildford, UK, May 19, 2017 – IDBS, a leading R&D and scientific software solutions provider, has been recognized by the National Technology Awards for its innovative cloud solution. The firm’s flagship platform, The E-WorkBook Cloud, has been awarded Cloud Product of the Year at the prestigious awards, beating companies such as UKFast and Workday for the coveted prize. The IDBS E-WorkBook Cloud is an enterprise cloud-based platform designed specifically to meet the demands of research and development data management and analysis in science driven industries globally. Laurence Painell, Vice President of Marketing at IDBS said: “IDBS’ recognition by the National Technology Awards is a true testament to our dedication to enable organizations to operate faster, more effectively and tackle some of their most significant challenges. If you would like to know more about our award-winning cloud solution then talk to one of our experts today.